Knowshon Moreno was knocked out with a knee injury. Von Miller had the wind knocked out of him. Future Hall of Famer Champ Bailey got beaten badly on two touchdown passes. No, it wasn’t the prettiest of efforts for the Denver Broncos last night in the AFC semifinals against the Baltimore Ravens, even in a game in which Peyton Manning provided plenty of highlights and Trindon Holliday was turning in the greatest effort by a returnman in postseason history. But what eventually did in the Broncos 38-35 102 seconds into the second overtime at Sports Authority Field last night? Not just a clutch kick by Justin Tucker, but one of the best blocks you’ll ever see, by Pro Bowl lineman Marshal Yanda. The situation? The Ravens had just intercepted Manning late in the first overtime but were bogged down on a third-and-3, still out of field-goal range. Ray Rice, who rushed for 126 yards, one more than the entire Denver team, was going to be short of the first down, allowing Manning one more chance to win in sudden death. But Yanda wouldn’t allow that to happen. He came from behind, pushed the pile forward and Rice got the first down that put Denver, a team with an 11-game winning streak, on the verge of extinction. Three plays later, Tucker tucked a kick just inside the right upright and Manning was denied another chance at a second Super Bowl. For a team that rallied from behind four times, including Joe Flacco’s incredible 70-yard touchdown pass with 31 seconds left in the fourth quarter, it was the appropriate ending. Terrell Suggs, the player no one thought would play this season, registered 10 tackles and two sacks. Ray Lewis, the future Hall of Famer on the verge of retirement, registered 17 tackles. And Torrey Smith, the oft-criticized receiver, burned Bailey in the air and with his speed. 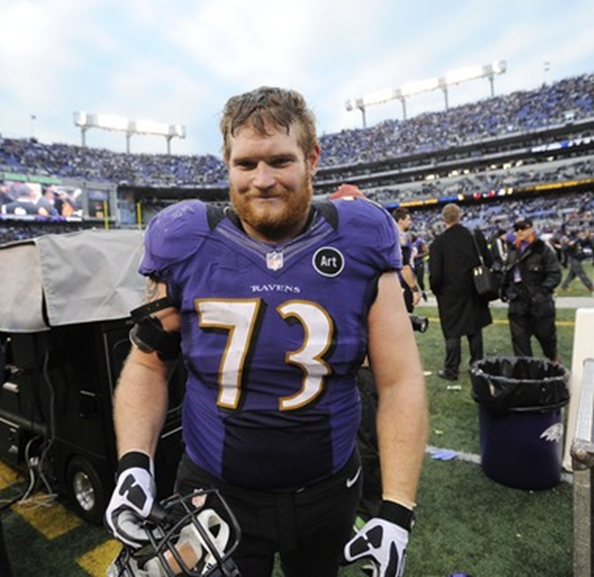 But the unsung hero was Yanda, who at a time of game when players don’t expect to be playing, showed that he wanted to play one more week and maybe beyond.